Born in Zimbabwe, Bone grew up fascinated by Africa’s diverse wildlife. While working as a guide in the Zambezi Valley, he began photographing and sketching the flora and fauna around him. 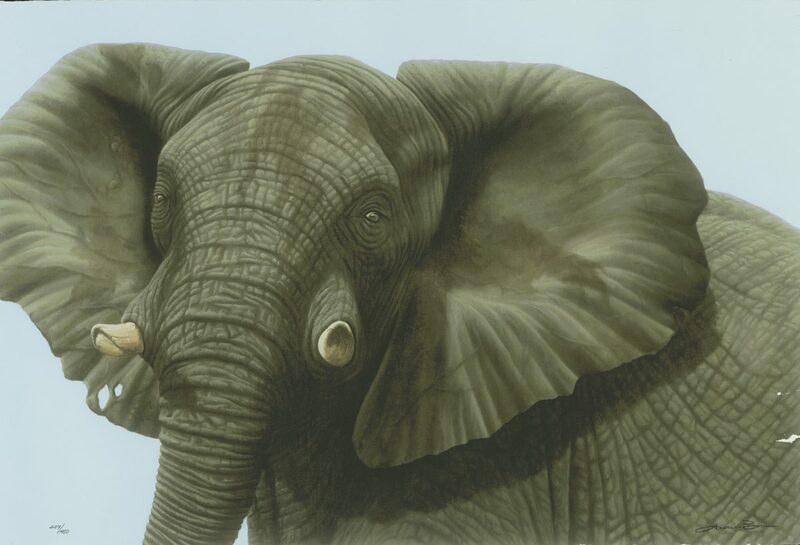 People quickly took notice of his incredibly realistic depictions of African wildlife and, within a few short years, Bone was known around the world as an acclaimed professional artist and conservationist. 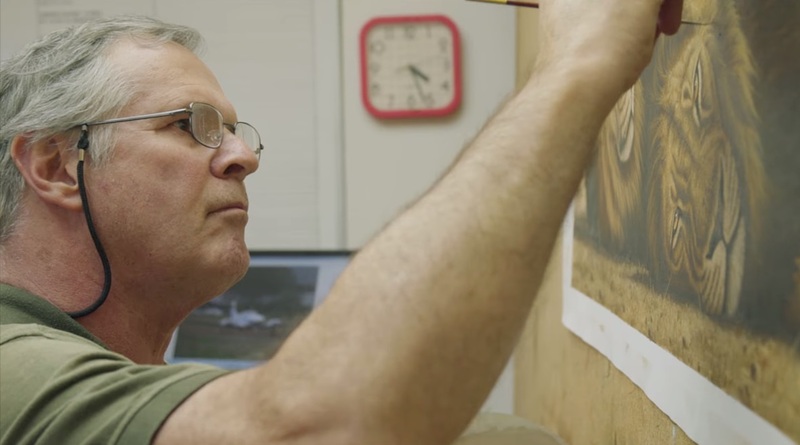 When he isn’t behind the easel, Bone is either on his latest safari or actively working to save endangered species. Despite this hectic schedule, Bone was happy to talk with us about his career, his unique approach to art, and his passion for conserving wildlife. 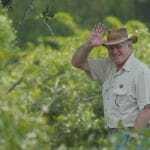 We invite you to meet Andrew Bone! 1. When did you first realize you wanted to become an artist? Working as a guide and studying the beauty and perfect form of nature, I wondered, then attempted to replicate that perfection on canvas. 2. What inspires your art? My adventures throughout Southern Africa capturing images through the lens of a camera, then wishing to revive the experiences in oils. 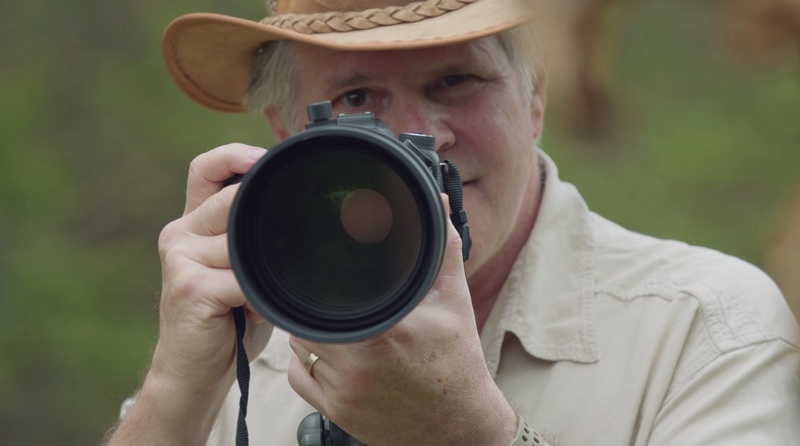 Andrew Bone readies his camera during one of his safaris. 3. Which artists have played a role in influencing your style? 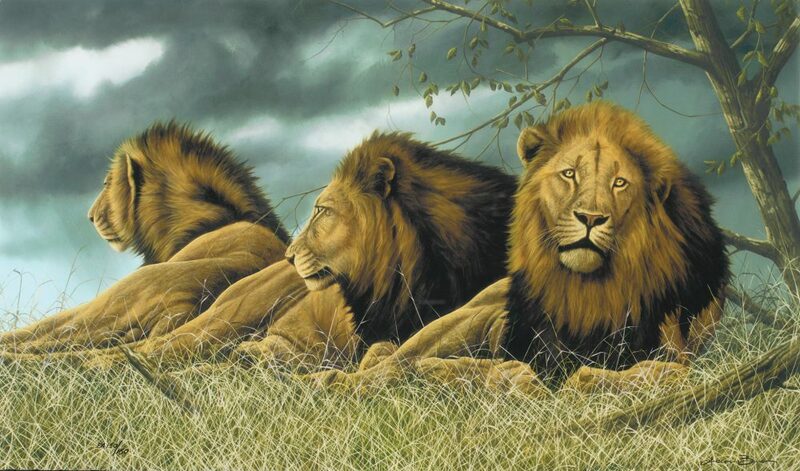 David Shepherd must have an influence on shaping any wildlife artist, but also the Kenyan artist Simon Coombes, Donald Grant and Ray Harris-Ching. 4. 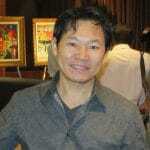 Collectors are pleasantly surprised to discover you are a self-taught artist. How did you develop your technique? Totally through trial and error and being ruthless in my appraisal of the result. Many of my canvases still do not reach the public, as I am not satisfied with the outcome. 5. You’ve said that you’re as interested in a dung beetle as you are an elephant. Could you elaborate on this philosophy? Everything in nature is interdependent. The survival of each species is as important as the other and has a role to play – therefore each is entitled the same respect and curiosity. 6. What do you want collectors to take away from your art? A new respect for wildlife, for Africa and for conservation. It is my hope that my collectors respect not only the artist, but also the conservationist. 7. Your artwork is based on your own photography and research. Would you mind sharing one of your favorite stories from one of your safaris? 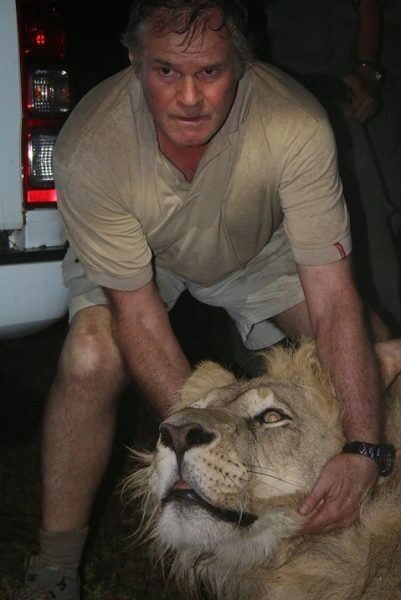 One of my passions is for lion and in my quest for images I have had a number of close calls. On one occasion, at Chitake springs in the Zambezi valley, I left my hide (a shelter that keeps photographers out of sight) mid-morning to have breakfast. Upon my return 30 minutes later I returned, ducked into my hide to find that the resident pride of six lionesses had killed an impala and dragged it into my hide. I got the fright of my life when the first female charged me from six feet away, snarling and smashing her paw on the earth—followed by the rest of the sisterhood! Very slowly I managed to back away and leave them to their breakfast – greatly relieved that I had not become the entrée. 8. What do you enjoy doing when you’re not painting? Conservation is my passion and I look for any opportunity to get out to the parks and assist with projects that the Forever Wildlife Foundation is helping fund, such as cheetah and lion relocations and their monitoring. 9. Do you have a favorite color? 10. Could you tell us about your Forever Wild Foundation and some of the important work it accomplishes? The Foundation was created through the need to financially assist with National Park conservation programs. Our initial project was to introduce a pack of African wild dogs (also known as painted dogs) into a national park where they had been eradicated 150 years earlier. Since then we have introduced seven cheetah and five lions into areas where the gene pool desperately needed new blood. In all cases, the Foundation has provided the equipment and specialized services required, and continues the program through monitoring to support the initiative. I see the future for the Foundation dealing more and more in the survival of predators that are so seriously threatened with extinction. 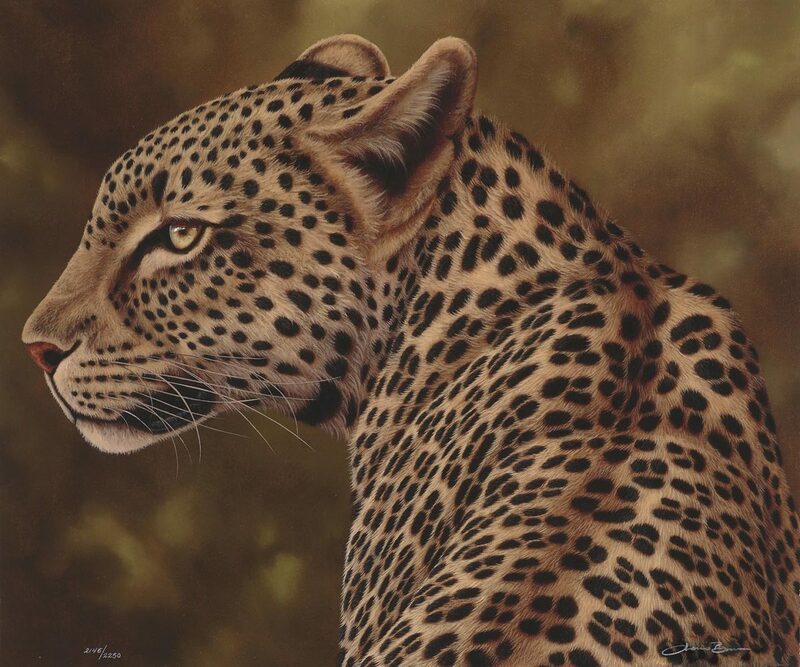 If you’re interested in collecting the wildlife art of Andrew Bone, contact our gallery consultants at (800) 521-9654 ext. 4 or sales@parkwestgallery.com. Thank you for your passion for savings wildlife. I love your art so much our winter place in Arizona is completely decorated around your artwork. Andrew, your artwork and conservation efforts are awesome and I love all that you do. I have 3 of your portraits and book. God Bless and take care.